My novel begins in Hoboken in the early 20th Century. The place fascinated me all the time I lived in Hoboken and I simply had to include it. 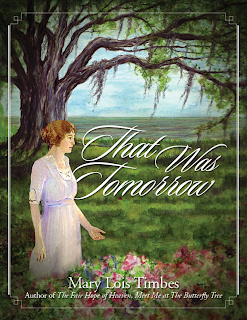 That Was Tomorrow is the story of a young schoolteacher who moves to a remote utopian enclave, but her story begins in the Castle Point section of Hoboken, where she was born into the Upper Crust. There are scenes in which she walks through the city, works in a settlement house, and talks things over with her parents as she plans her life. "The book didn't really come to life until the Hoboken scenes," my daughter said after reading the proofs. If she's right it's because I had strong positive feelings about Hoboken in those days even though I only learned about them from the Hoboken Museum. My heroine needs to break from her protective, overbearing parents, and the trappings of wealth. It's fortunate for her that her grandfather, who ran a retail shop in old Hoboken, left her enough in a trust fund that she could pursue her dream of changing the world and being a "New Woman" of 1921. 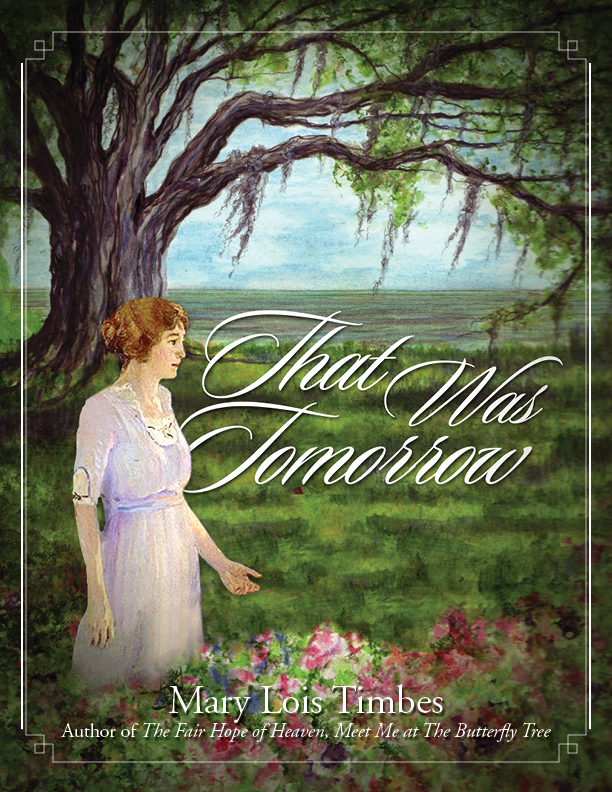 To learn more about the book, it's now available at amazon and also at my website Finding Fairhope. Check out the reviews on amazon--and if you've read it, please contribute one of your own. It's a Hoboken book as well as a "Fairhope" book. Mostly it's a historical fantasy based on time and place. I came to Hoboken just exactly five years ago and am in the process of packing up my things to leave in a week. This is not an easy move; I'm not going away mad or even without regret. It's a very endearing town, easy to fit into, easy to love, and not a bit easy to leave. My five years here have been very productive. I've written two books, made a number of friends, gained a vantage point on New Jersey and New York City, and grown in ways I never expected. I didn't know what to expect when I arrived. I had taken one look when surveying the New York City area, found it affordable and not without a small-town charm and a scruffy, tough reputation. I felt comfortable with its outsider vibe, its survival instinct, its lopsided, striving charm. I liked walking on the streets amid old couples, young hotshots, couples speaking languages ranging from French to Russian and what sounded like Polish, in addition to the more predictable Spanish and Italian. I liked writing a blog about my daily experiences, and having comments appear from total strangers who shared their memories of bygone Hoboken. Some of them I met in person, some I never did but remain vividly real to me in their comments here. I invite you to read the early posts and meet a younger Mary Lois, instructed by generations of people born and raised in Hoboken and eager to impart their knowledge to a newcomer. I'll miss a number of things. I already miss when Carlo's was a local bakery, a place you could drop in for a fresh canolli, a box of cookies, or a cake to take to a dinner party. I miss the people I met early and seldom see now, just because life has somehow come between us. A few great restaurants have come and gone since I first set foot in Hoboken. A few places and things remain--the two hardware stores I know on Washington Street, run by old born-n-raised-in-Hoboken guys; the Garden Street Liquor Store, which is on Park Street. I only went to that liquor store one time, but if you go to the link you'll see why it was memorable. I'll miss the views of the New York skyline, particularly the Empire State Building. I'll miss the campus of Stevens, with its rich Hoboken history--and the public library and the train terminal, both beautiful examples of 19th century Victorian architecture. I'll miss the trees on streets like Bloomfield and Garden, O'Neill's wonderful burgers, the Hoboken Historical Museum and the opportunity missed to work on a project getting a statue of Frank Sinatra in town. I'll miss Danny Aiello, running lines with a friend as he ate spaghetti at Tutta Pasta (and I'll miss that spinach course!). I'll miss the battery of doctors and dentists who have shored up my body as I totter into old age. I never saw the Fabian Theater, now a CVS. I never had ice cream at Abel's or saw a flock of pigeons fly out of a piano at the high school assembly. I never met Mr. Stover, the onetime principal of that institution. I never heard the crystal voice of little Jimmy Roselli, singing in church. I learned about all of them on this blog. If you want nostalgia, go to my blog posts in 2008 and 2009, as the colorful life of old Hoboken is recounted again and again by my blog readers. I'll probably do that from time to time--revisit this blog and think of the Hoboken period of my life. But I've no time for it today. I've got organizing and packing to do and planning for the rest of my days. Please follow up by finding my new blog about my new life, and comment there and here if you want to keep in touch. I love writing for you, and am pleased you're still reading.